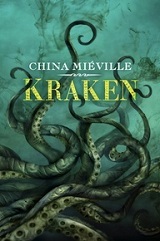 An outspoken, award winning author, Miéville is extremely well known and needs little in the way of an introduction. Only a few of his story are freely available. • At The Register: "An End To Hunger"
"I met Aykan in a pub sometime late in 1997. I was with friends, and one of them was loudly talking about the internet, which we were all very excited about." • At Socialist Review: "'Tis the Season"
"Call me childish, but I love all the nonsense - the snow, the trees, the tinsel, the turkey. I love presents. I love carols and cheesy songs. I just love Christmas™. " 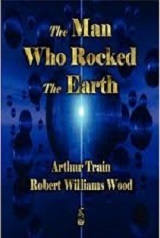 • At The Guardian: "Covehithe"
"A trip to the Suffolk coast takes on a new urgency when Dughan decides the time is right for a night-time adventure"
• The Man Who Rocked the Earth with Robert Williams Wood. "It is difficult, however, to conceive of any way in which a sudden liberation of atomic energy could have been brought about by any terrestrial agency; so that the first theory, though able to account for the facts, seems to be the less tenable of the two. The meteoric theory offers no especial difficulty." "Like many another in the medical world whose material wants are guaranteed, he found solace and amusement only in experimentation along new lines of his peculiar hobbies. His days were spent between his book-lined study with its cheery sea-coal fire and his adjacent laboratory, where three assistants, all trained Bachelors of Science, conducted experiments under his personal direction."